I haven’t done a teardown in a while so I thought I’d share the insides of panel meter I recently found at a Sunday morning junk market for $5. 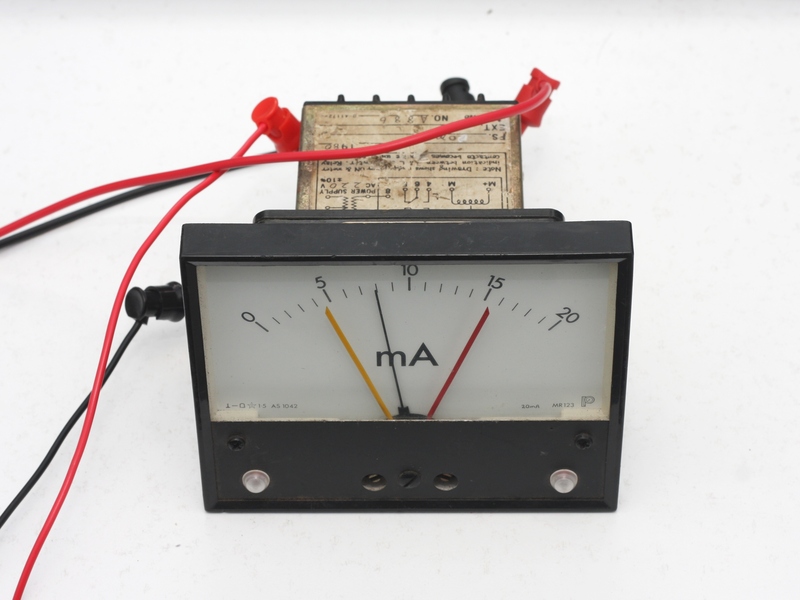 Below is a panel meter that has been used in some sort of industrial process. It was manufactured in 1980 by Kuwano. I’m not quite sure who the manufacturer was – the company’s logo is not easy to read but it might say, “Aumano”. What caught my attention with it was that it includes high and low needles as well as indicators and relay outputs for the high and low limits. For $16.95, I scored an inline energy meter. How do they make some stuff so cheap? What method has been used for the current measurement? Can the device be hacked up and improved? All is revealed in this teardown. Whats inside a power transistor? Well some semiconductor to be a transistor of course. How large would you expect the transistor’s die to be? My guess is, that for a device that can conduct up to 10 A, the die would occupy the bulk of the transistor’s package. What’s your guess? An MJE3055 NPN transistor ready to be dismembered. Lets find out with a teardown of sorts with the following MJE3055 NPN power transistor that comes in a TO-220 package. My Logitech Performance MX wireless mouse recently had a failed left click button. However, this was easily repaired with a switch from an obsolete mouse. Repairing the switch is a straightforward task with all the details compiled into a tutorial.